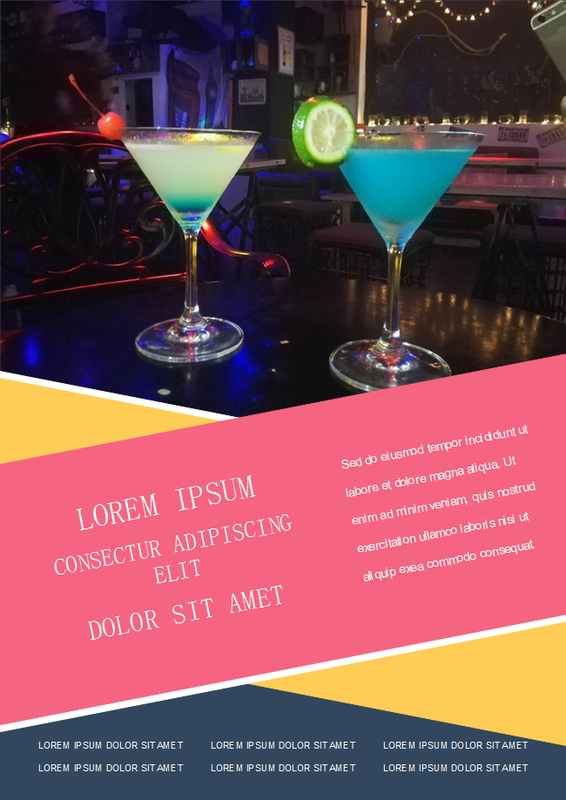 Description: The club cocktail flyer can be used as a bar advertisement. Images of other drinks such as beer, tequila and martini can be added to fit your club. You can edit this club flyer to make it meet your requirements with Edraw in no time.